When you give a Food Fairy gift certificate, what you're really giving is joy. The Food Fairy offers several different varied and customizable gift certificates for any occasion! 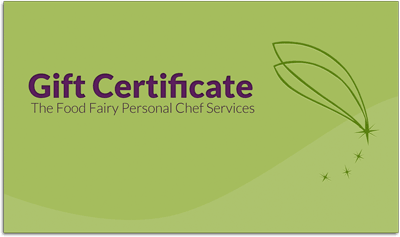 All certificates include a “Food Fairy” who will shop, cook in the recipient’s home, package, clean up, label, and properly store her magical creations. 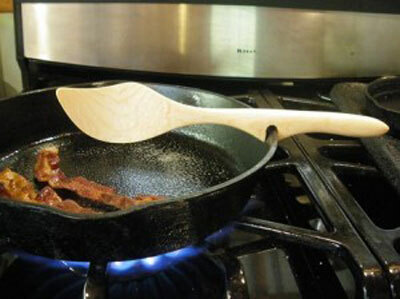 Click here for more information on the Fary Wand and care instructions. 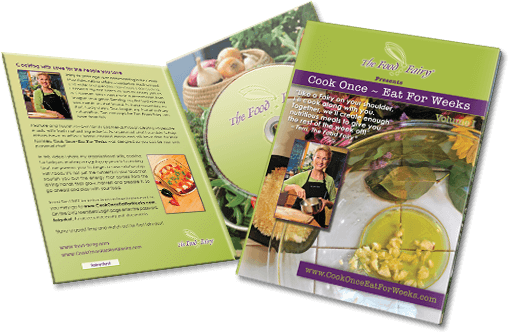 The Food Fairy has chosen a dvd production house that for years has been at the forefront of designing and promoting low or no-plastic CD and DVD packaging: DiscMakers.com. The DVD jacket is printed with non-toxic vegetable-based inks on stock that contains at least 10% post-consumer recycled content and comes from mills that procure materials from sustainably managed lands. 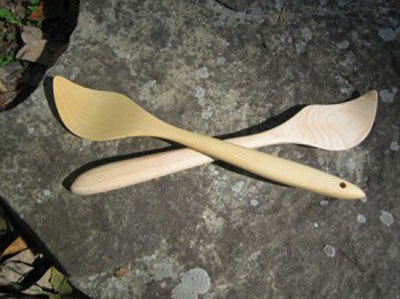 These spoons are custom handmade and therefore no two are exactly the same. By ordering our services in $75 increments you have the flexibility of letting your friend, work comrade, or loved one know you care by spending as little as $75 or as much as you like.